''Ohio History Central'' is maintained and was developed by the Ohio History Connection as a reference source for and about the people of Ohio. It covers topics related to the history, ancient peoples, archeology, and natural history of Ohio through encyclopedia-style entries. Ohio History Central should be considered as a starting point for learning about the people, places, animals, events, and culture of Ohio. Individuals interested in primary sources related to the topics introduced in Ohio History Central should visit [http://www.ohiomemory.org www.ohiomemory.org]. ''Ohio History Central'' is maintained and was developed by the Ohio History Connection as a reference source for and about the people of Ohio. It covers topics related to the history, ancient peoples, archaeology, and natural history of Ohio through encyclopedia-style entries. Ohio History Central should be considered as a starting point for learning about the people, places, animals, events, and culture of Ohio. 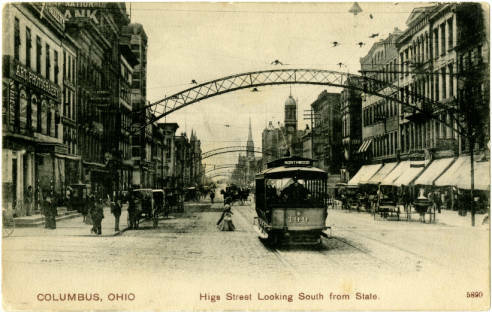 Individuals interested in primary sources related to the topics introduced in Ohio History Central should visit [http://www.ohiomemory.org www.ohiomemory.org].